You will reduce waste with these sealed Kellogg's Portion Packs and also offer a more hygienic way to serve cereals. 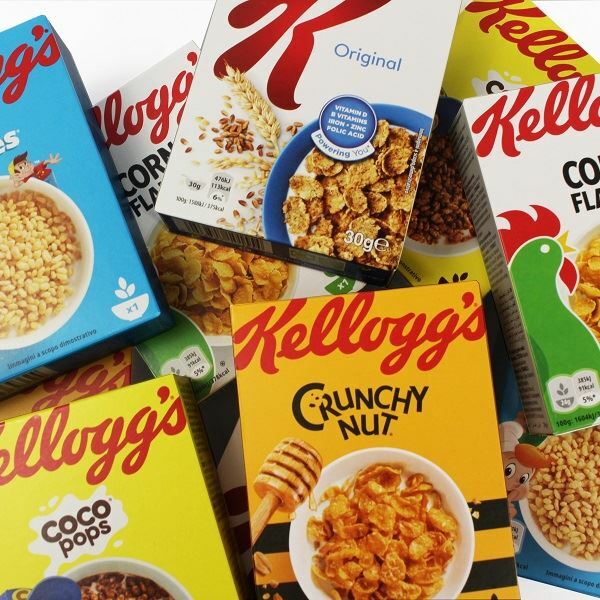 Here is a selection of Kellogg's best selling cereal portion packs. For information on Food Allergen Law click here. Very convenient way to offer a wide range of cereal amongst my home made granola and Dorset muesli. No-one likes coco pops though! Easy, economical way to buy "catering" size miniature packs without having to traipse to a wholesaler and buy dozens of packs of a single variety. Would prefer no CocoPops, though! ideal for breakfast table. packaging and delivery excellent! would recommend to others. Perfect size, long expiry date + good variety. I can't get these varieties at any shop near me. Our local shop stopped stocking these "bigger" small packs and I was very pleased to see them at OoE. So sorry to hear they're to be discontinued. Would have liked single "flavour" multi-packs of Cornflakes, Special K & Fruit & Fibre.